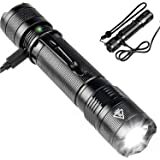 ★ SUPER BRIGHT: 1000-LUMEN CREE XP-L V6 LED. Zoomable focus the light beam from wide (two football fields, 660 ft / 200 m) to narrow. Quick switch between five modes :High, Medium, low, Strobe, SOS. 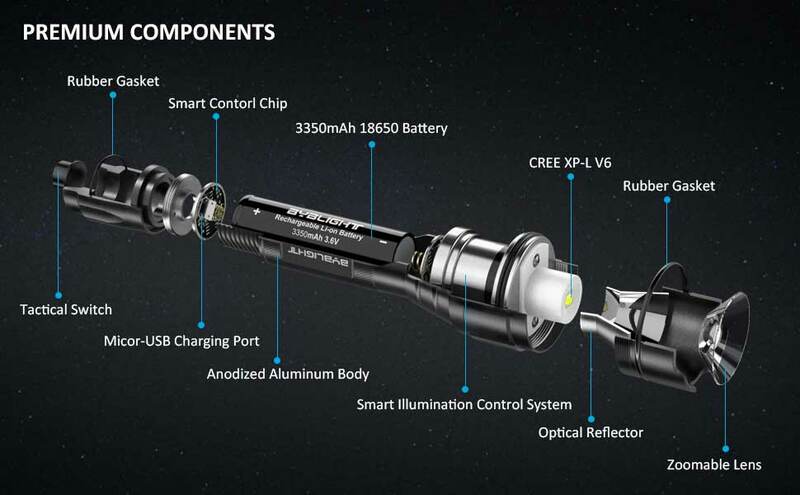 ★ LONG RUN TIME: The rechargeable 18650 3350mAh Lithium-ion battery offers up to 6hrs of powerful (High Mode, the first 2hrs of 1000LM,then 4hrs 800LM), no hassle with batteries. Genuine CREE LED guarantees an incredible consistent 50000 hours of use. 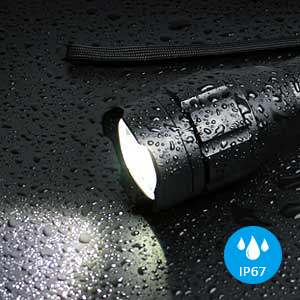 ★ SOLID & DURABLE: IPX-67 Waterproof design makes it works great even in wet weather. High strength aero-grade aluminium alloy body is treated with a military-spec hard anodized finish to endure scratches, abrasions and corrosion. accidentally dropped. 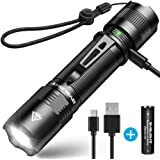 ★ RISK-FREE PURCHASE: You get BYBLIGHT F12 Flashlight, 18650 Rechargeable lithium Battery (Pre-load), Micro USB cable, wrist strap, user manual, and our worry-free 18-month warranty and friendly customer service. Built-in USB charging port allows to be safely charged from any USB port, No more wasteing of buying batteries. 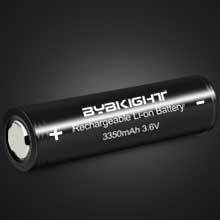 The rechargeable 3350mAh battery offers up to max 10 hours (Low-beam mode) of powerful, non-diminishing light. Easily zoomable from board-coverage Floodlight to focused Spotlight, also features five modes with memory function. 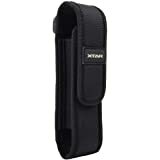 Military-grade anodized-aluminum body endure scratches, abrasions and corrosion, braves any situations. All-metal construction and scalloped-bezel head are heavy duty and strong. Ensures F12 shines even when in heavy raining or short time submersible. 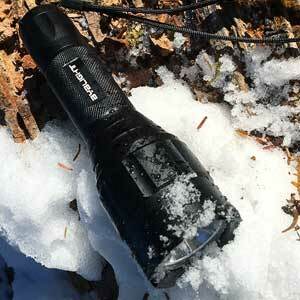 BYBLIGHT F12 reliably illuminates in both hot and cold extreme conditon. 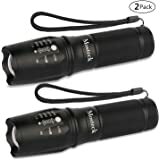 Don't Make the Same Mistakes When Buying a Flashlight. 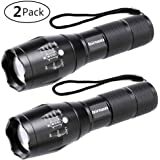 You might have had enough of disappointment again and again with these inveracious advertisements which boast 1000-Lumen and even ridiculous 2000-Lumen for no more than 20 pounds flashlight. 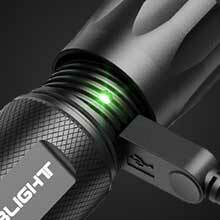 The BYBLIGHT F12 professional flashlights are designed with "High Quality, High Cost-effective" in mind. F12 zoomable flashlights are the ultimate lighting tools for hunting, trekking, camping, cycling, law enforcement, search and rescue etc. 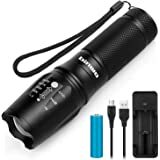 Take the Last LED Flashlight You Need Home! It Worth Every Penny. 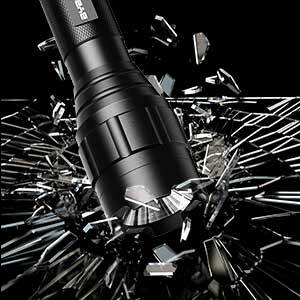 5.0 out of 5 starsThis F12 flashlight is likely to exceed your expectations. 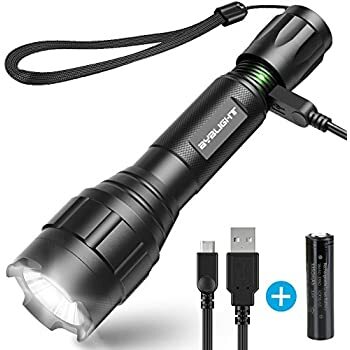 After looking at many options for a good value ‘multiple mode’ rechargeable flashlight, I finally chose this Byblight F12 model and ordered it using my Amazon Prime account. Unfortunately after waiting in all day, my order was not delivered, so after waiting a few more days, I contacted the seller (Ruitengda) via email to express my disappointment. 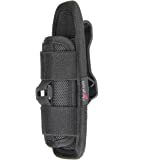 Although they were not to blame for the shipping error, Karen from Ruitengda replied promptly and offered to send a replacement free of charge, which arrived within a couple of days, so I am now able to share my thoughts on this product. 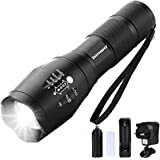 I have owned an LED Lenser P7 torch for many years, which gives a good even throw in the ‘wide’ setting and has served me well for dog walking at night. More recently I have purchased an Olight S2R flashlight to keep in the car, which has very good performance for its small size, although it was quite expensive and has no zoom option. 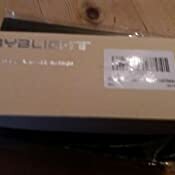 There is an old adage that ‘you get what you pay for’, so I had expected the Byblight F12 to be considerably inferior in build quality and ergonomics to my other torches. However, after testing this flashlight today, I can confirm that the build quality is very good indeed and I soon discovered that the variable beam throw of the F12 is excellent, being wider than my old P7 by a significant margin. 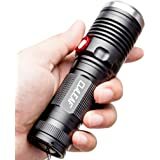 The colour temperature of the light is also very white when compared with the Olight model, which has a noticeable yellow cast by comparison. 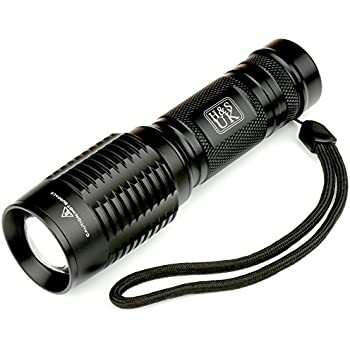 When zoomed out, the beam setting is also very good, so unless you require an ultra-tight beam, the zoom range on this F12 flashlight should be more than adequate for most applications. I did notice that on the wide zoom setting, the beam does not project a perfectly circular beam, but manifests a slightly squared off beam, although this is hardly significant. If you analyse the uniformity of the beam coverage throughout the zoom range while projecting the light onto a white wall, it is clear to see that the centre of the beam is brighter than the outside on a tight setting, which then progressively changes to a darker centre as you zoom out to the wide setting. Despite this variability of the beam uniformity, once you have set the zoom range to suit your requirements, this effect is barely noticeable. The light output on the ‘High’ setting provides enough light to illuminate the whole of my back garden brightly (30 m in length) using wide zoom, with the ‘Medium’ setting still providing very good coverage of the entire area, also on wide zoom. As you would expect, the ‘Low’ setting has even less coverage in wide mode, although it is still quite useful when set to a tight beam, although the ‘Low’ mode is better suited to indoor use and can run continuously for up to ten hours. 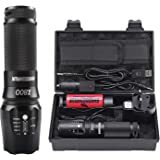 The zoom control is easy to ‘focus’ by sliding the head forwards or backwards relative to the torch body, whilst being stiff enough to remain at the required zoom setting while the flashlight is being handled. Overall I found very little to criticise about this Byblight F12 flashlight, but in the interest of fairness, I will make a few observations: (1) The flashlight feels slightly unbalanced when being held lightly in the hand, due to the weight of the large diameter zoom head. 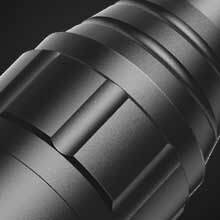 (2) The knurling on the torch body is quite fine and therefore needs to be gripped more firmly than torches with more pronounced knurling. (3) It is necessary to scroll past the ‘Strobe’ and ‘SOS’ modes to get back to the ‘High’ mode after ‘Medium’ or ‘Low’ settings have been selected, which is quick and easy to achieve, but slightly annoying. 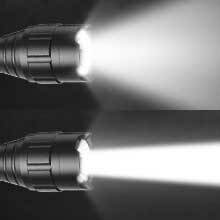 If you use the flashlight only in ‘High’ mode, for example, you can avoid this characteristic by simply using a firm press on the rear mounted switch to turn the torch ON or OFF. 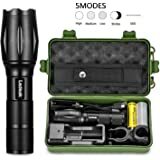 My overall impression of this F12 flashlight is positive, especially when you consider the very reasonable purchase price and if the reliability proves to be as good as the build quality would suggest, I can certainly recommend this flashlight. 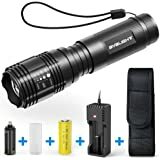 I spent a lot of time looking for a flashlight that met all of those requirements and chose the BYBLIGHT F12 as it was the one that best suited my needs. It was delivered promptly and arrived well packaged, the box contained the flashlight, a USB cable and some basic, easy to follow instructions. 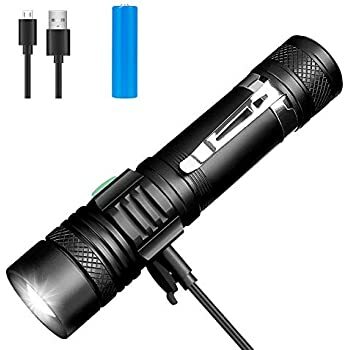 The battery was already fitted to the flashlight and partially charged when it arrived; it took an additional 1.5 hour to charge it fully (green LED). 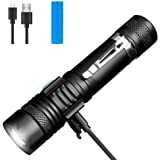 The flashlight looks great, feels robust and quality. 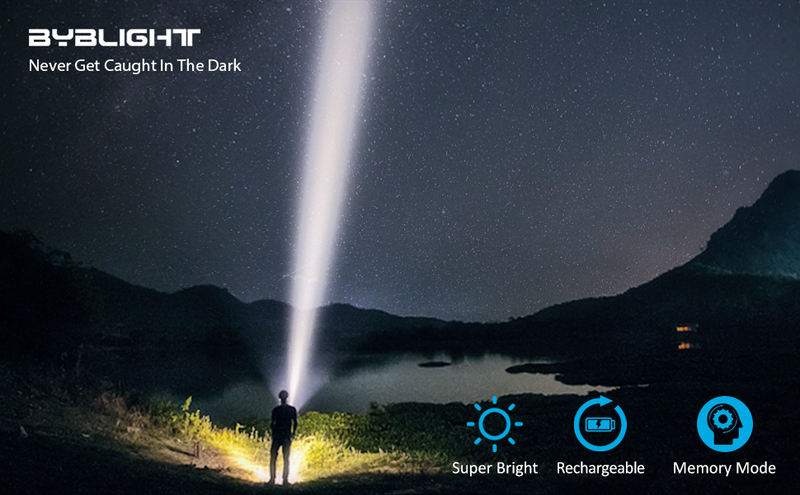 The beam is strong, it is easy to change mode and the flashlight remembers the last mode used. The "zoom" function is very good and enable to direct the beam to a specific area when needed, it reaches about 200 meters. The battery seems to hold its charge well but I have not yet used the flashlight for long enough to know how long it lasts on a full charge. I was hoping to check the flashlight battery but could not unscrew it, it is just too tight, hopefully I will not need to go there anytime soon! All in all, an excellent flashlight! I bought this as a Christmas present for my husband, but I checked and tried it out when it arrived to make sure everything was fine before wrapping it. I do not understand the negative points from other reviewers (which almost put me off buying, but they were in the minority compared to the positive reviews) unless they were unlucky to receive faulty items. 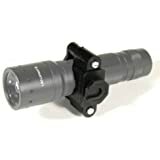 This feels a good quality, well made, comfortably weighty torch in the palm of your hand. The instructions are brief but easy to follow. I, particularly, do not understand the comments about the battery not being removable. 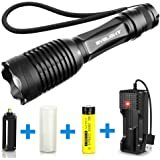 If you read the instructions, you just unscrew the bulbous head of the torch and you can remove/replace the rechargeable battery. If I can do it anyone can! I was very happy with my order, which was delivered promptly by standard free delivery, and I am sure my husband will be delighted with it. 5.0 out of 5 starsGreat torch, bright as a really bright thing, to paraphrase Devy. Was wary about spending this much money on a torch (yeah it''s not *that* expensive but i'm a tightwad) because I expected something that, frankly, would be crap. I was wrong. This torch is bleeping bright as bleep! The USB charging port is a definite bonus. It's used for work so if I need to I can just charge it in the van while driving like I do everything else. Pro-tip. Saves a pretty penny on the leccy bill. Anyway, great torch, bright as a really bright thing, to paraphrase Devy. One warning though... don't look at the bulb to see how bright it is. Just take my word for it. I did that for just a second and the retinal burn took about an hour to fade. 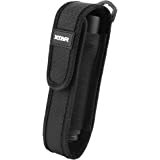 These are great torchs, recharge via USB is very handy as you can charge them off power banks etc, although they last a long time without needing to be charged. Full brightness for over an hour didnt seem to bother it so the claimed time is going to be about right. Its slightly bulkier than I expected and I felt the zoom didnt go down narrow enough but these are very minor things. Nice easy charge indicator to show when its fully charged as well. Yes there are cheaper about but this feels like its better quality. 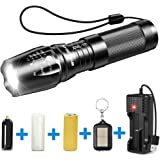 This torch is amazing, in fact this is the 2nd torch that I have purchased (fathers day present) Very bright and the 5 different functions makes this torch a real deal breaker. I would highly recommend this to anyone.